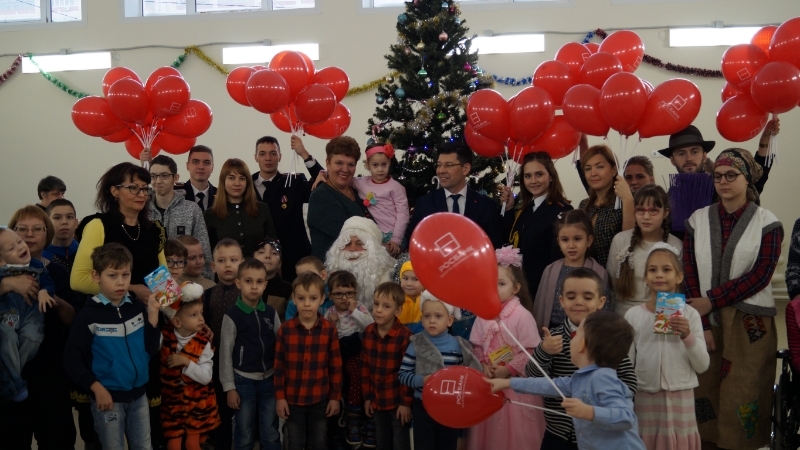 Children's New Year’s party took place in Rehabilitation Center for children with disabilities of Children's Municipal Polyclinic №7 on the eve of New Year. The project of development of medical tourism in Tatarstan Republic was presented by Children's Republican Clinical Hospital on behalf of Health Ministry of Tatarstan Republic at the exhibition Russian Halal Expo 2019. The event was attended by President of Tatarstan Republic Rustam Minnikhanov, Health Minister Marat Sadykov and State Adviser Mintimer Shaimiev. Campaign in support of vaccination in the hospital took place in Perinatal Center of SAHI "Kama Children's Medical Center" (KCMC) in the framework of European Immunization Week. Mothers who gave their consention to vaccination of the child received vaccination certificates with the first registered vaccination of the baby, and the green ribbon as a symbol of a strong immune system. Costumed character has congratulated parents with the birth of a child. European Society for Paediatric Urology (ESPU) forum annually brings together experts from all over the world and is one of the most important social events of the year for children's urologists-andrologists. Tatarstan delegation was represented by specialists of Children's Republican Clinical Hospital: Professor Nail Akramov, Ph. D. Aidar Zakirov and Ph. D. Rashit Baibikov.